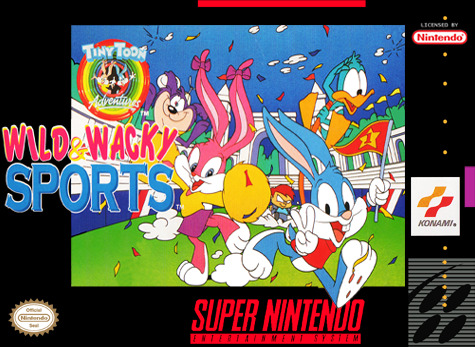 Tiny Toon Adventures: Wacky Sports Challenge for Super Nintendo allows you to play with the Tiny Toons characters in a collection of sports games. . Bungee Jumping is likely the most normal contest you'll find here, as others include: Chicken Race, Ice Cream Toss, and a unique version of Weight Lifting. There are a dozen sports in all, and you choose whether you'll play as Buster Bunny, Babs Bunny, Plucky Ducky, or Dizzy Devil.